In 1975 Robert “Raven” Kraft, a high school dropout and aspiring songwriter, made a New Year's Resolution to run eight miles on Miami's South Beach each evening. Over 125,000 miles later, he has not missed one sunset. 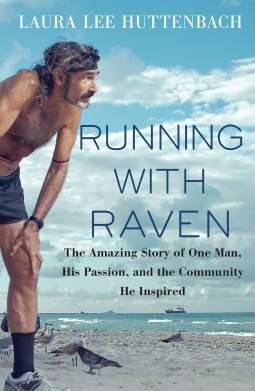 Quirky and appealing, tenacious and magnetic, Raven is a legend of the running world. As he says, “I may be the only thing that hasn't changed around here in the last forty years.” Laura Lee Huttenbach reveals how one man's daily ritual has blossomed into an uncanny gift for weaving people together—and an invaluable reminder that the journey means little without the connections forged along the way. Hauntingly beautiful, compelling and inspiring. The book was a really good and captivating tale of Raven with lessons about life and what really matters. A flowing prose and an engrossing tale make this a great 4 star read!